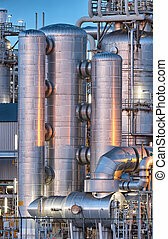 Chemical installation. 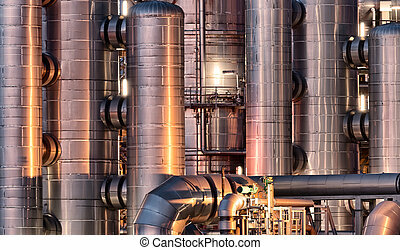 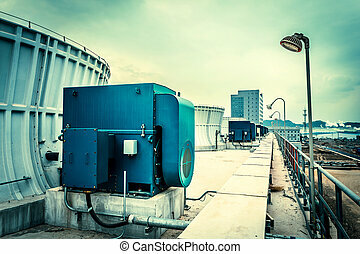 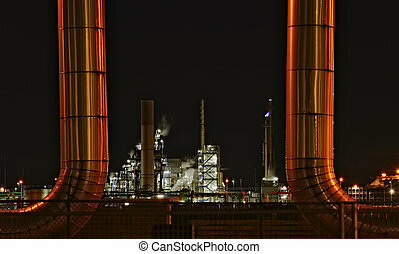 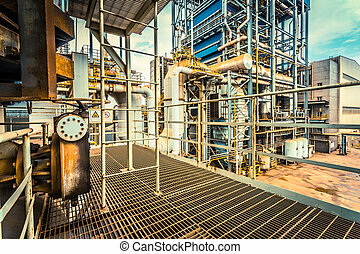 High dynamic range impression of a chemical installation in the port of rotterdam. 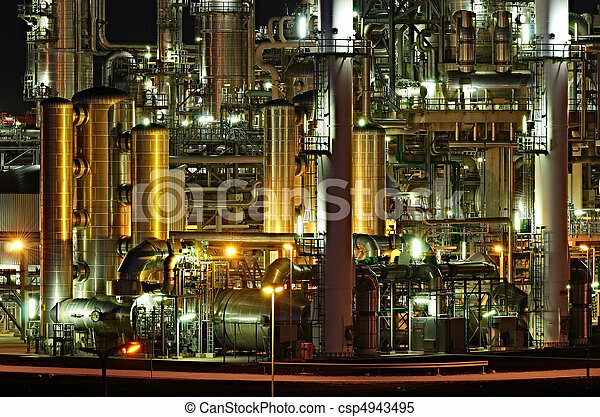 Chemical industry detail installation background at night. 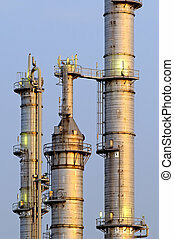 Petrochemical close up of factory. 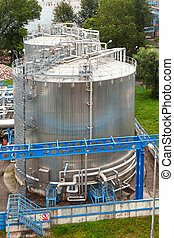 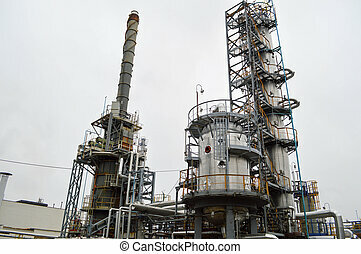 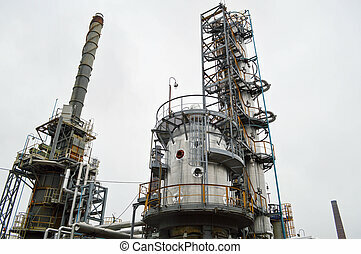 Installation for primary oil refining. 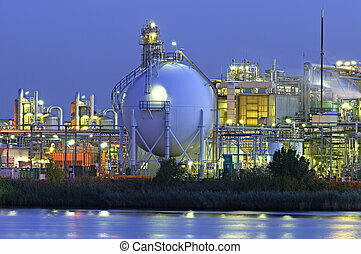 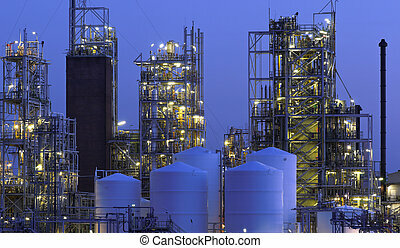 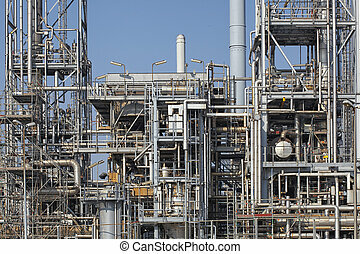 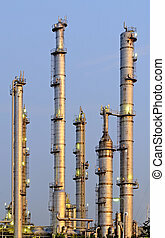 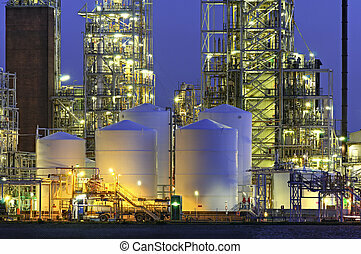 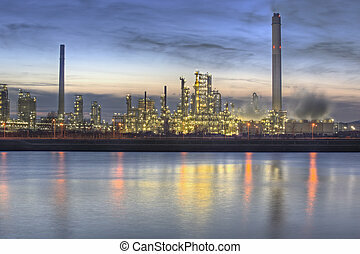 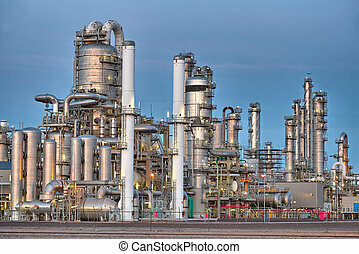 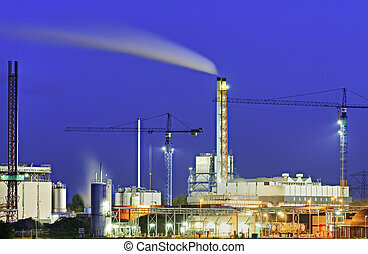 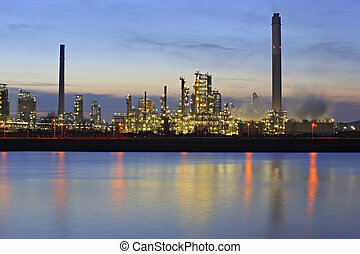 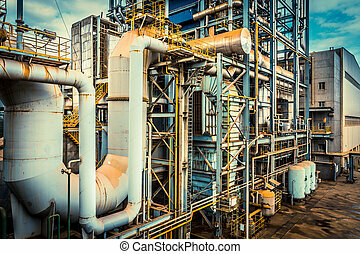 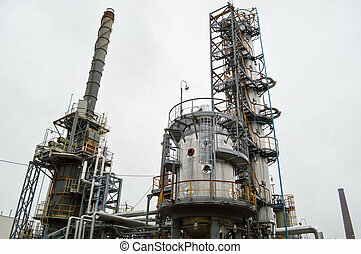 Oil and gas refinery. 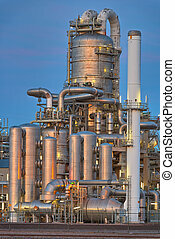 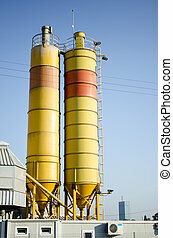 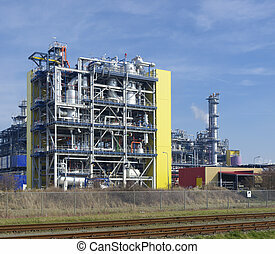 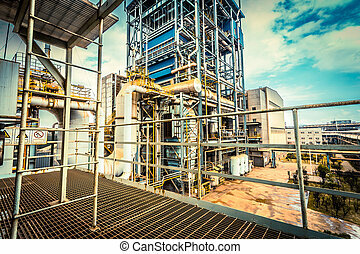 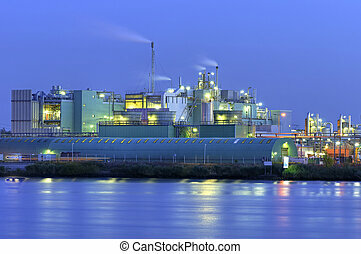 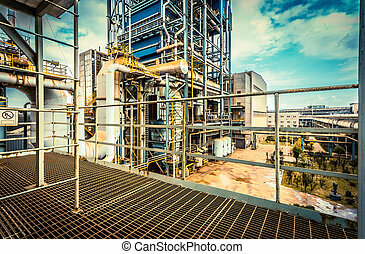 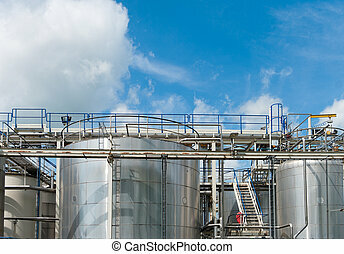 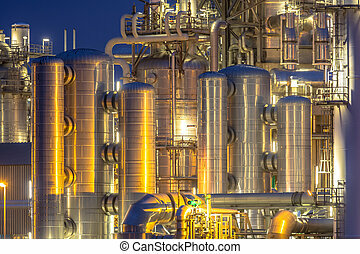 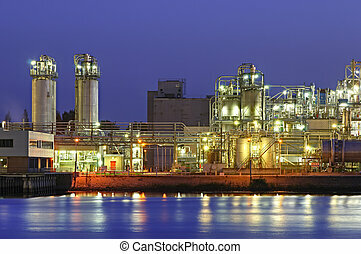 Chemical plant.